At Twenty Over Ten, we take pride in the work that we do for our amazing advisor clients every day. Once we go live with a website, we like to have candid chats with our users to see how they like their new site and showcase their unique features and processes. 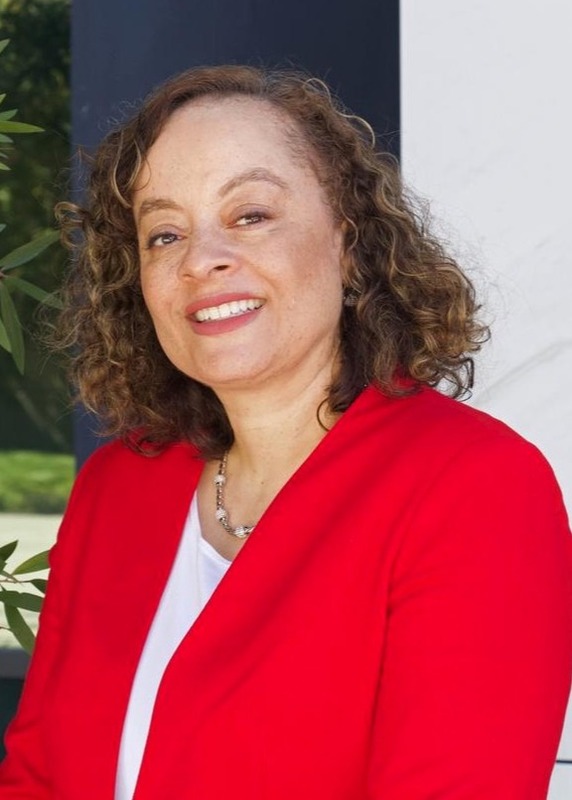 This week, we got to speak with Angela Dorsey, founder of Dorsey Wealth Management. 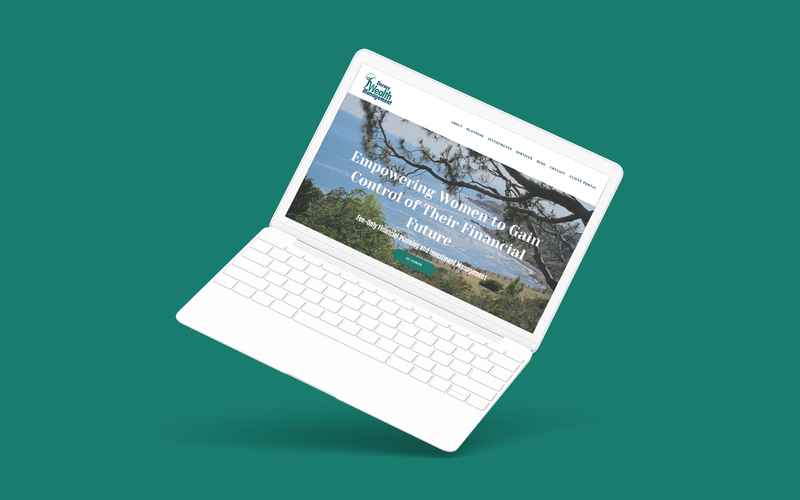 Angela focuses on financial planning for women and is a fee-only advisor that believes it’s her duty to recommends what she sees is best for her clients based on their life goals, risk tolerance, personal and financial situation. Tell us about Dorsey Wealth Management and what inspired you to start the firm. 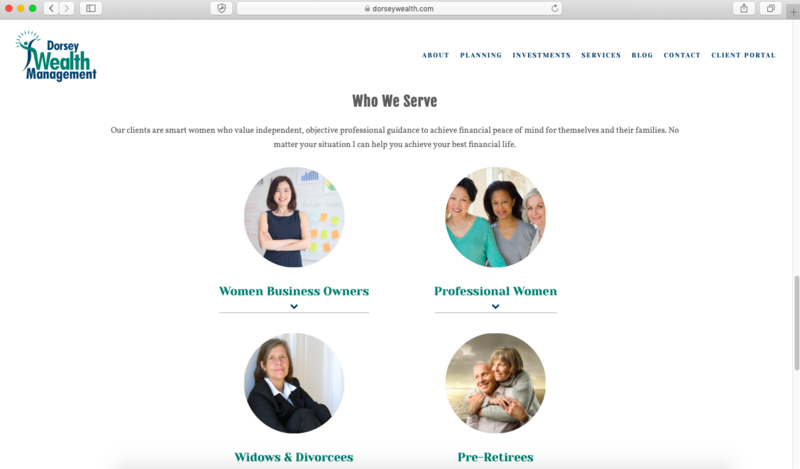 Dorsey Wealth Management is a fee-only firm focusing on financial planning for women based in Torrance, California. The inspiration to start my firm actually began before I became a financial planner. I spend 20+ years in the corporate environment as a senior compensation consultant and found that many of the smart, successful women I worked with really lacked the knowledge and confidence to plan for their financial future. I would help them with what I thought was common knowledge, but I quickly found out that being knowledgeable about your finances really isn’t that common. I have always had an interest in financial planning and owning my own business. So, starting my own financial planning firm seemed like a good fit for me. Leaving the “security” of a corporate job was scary, but I am so glad I did because being a financial planner is so rewarding. We love your story about your financial journey as a woman in the industry. Tell us more about how you work with this niche audience. When many women first meet with me, they feel embarrassed and ashamed that they do not know more about how to plan for their future. They do not know when they can retire, and they are afraid they will run out of money. Or, they are afraid because they are recently widowed or divorced and are managing their finances for the first time. I provide a supportive environment for women to feel comfortable to ask any question they have without feeling embarrassed. Some regret not seeing a financial planner earlier, but I tell them that it is never too late to start. I collaboratively work with each client to develop an Empowerment Roadmap which maps out their goals, current situation, and what needs to happen to achieve their goals. I then provide Empowered Wealth Management to assist them in implementing their plan and to make sure they stay on track. Why did you decide to build a new website? What made you realize it was a necessary step for your business? As a solo advisor, it is critical that my website allows people to learn more about me and to understand how I can help them. I wanted to communicate a personal theme to reflect my personalized services. I didn’t want to have a big corporate look because I am not corporate. I offer personalized attention which helps me be competitive in my niche. I thought my old site was looking a bit dated and had too much text. I want to attract people who like that I am a boutique firm and not a huge company. People do business with people they know, like and trust. I want to help them get to know me through my website and videos. Instead of using a lot of stock photos, I used my own personal pictures of the ocean and beach near where I live when possible. I also used photos of me with clients or conducting workshops for women. I also wanted a website that was totally transparent, so I have my services, fees, and process on my website. I want to make it as easy as possible for potential clients to take the first step. I even have a page for client stories to help them better understand how I work with clients. During the website design process, which elements did you find were easy to complete yourself? What problems did you run into? For me, figuring out the content was pretty easy. I had a difficult time, though, deciding the layout of the pages, the sitemap. My old site had a lot of page and I knew I wanted to condense them down to fewer pages but it was hard to figure out how to do that. Fortunately, Twenty Over Ten helped me with that. We love your video on your home page and think it really reflects the personal connection you strive for in your business. What was the process of making it? I had planned to do a video for years! I was so afraid of doing one, but I knew for my new website I wanted a short introduction video so that visitors could get to know me better. To tell you the truth, it was a lot harder than I thought because it was my first video! I couldn’t memorize my lines and the lighting looked terrible. It took me 8 hours to get a 1-minute video that I was satisfied with! At first, my husband recorded me using his camera, then we tried my iPhone. We ended up just using QuickTime on my Mac with me facing my office window for best lighting. I am still very critical of it, but I figured it is good enough. It then took me another 8 hours to figure out how to edit it on iMovie to add music, intro and ending, and to upload it to YouTube. I plan to do more videos, so next time it won’t take me as long. We also love your blog feature on your website! Tell us more about your blogging process and how it’s performed since you launched your new site. I can tell from Google Analytics that people look at my blogs when they visit my site. Each month I do an email newsletter, which I then post to my blog. I would like to do it more frequently but sometimes just doing it monthly is a stretch. I just purchased Content Assist so I am hoping that will make posting more frequently easier. 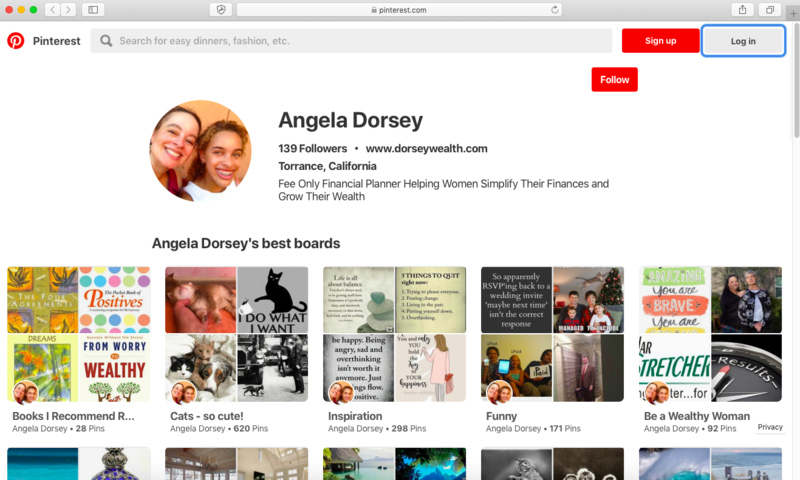 We were intrigued to see you have a Pinterest page for Dorsey Wealth Management, which is not a platform we see many advisors using. What made you want to create a Pinterest page? Using Pinterest is consistent with my goal of helping prospects get to know me before they actually meet me. If they look at my Pinterest page, they will see books I recommend, inspirational quotes, and tips on how to be a “Wealthy Woman”. They will also see fun stuff like places I would like to travel to one day. They will see I love cats, the beach and the color blue. Again, to help establish the know, like, and trust factor. If they go to my Pinterest page and like it, then chances are they would probably like me too! Which feature of the site are you most excited about? 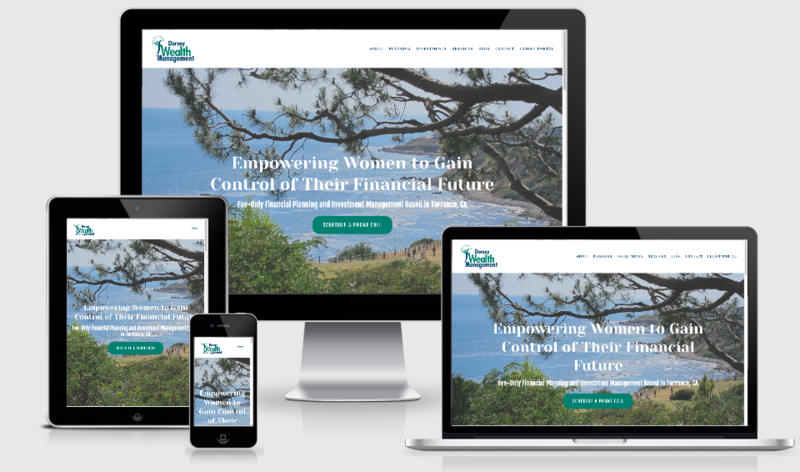 I love that it is fully mobile responsive and reflects the personalized nature of my firm. 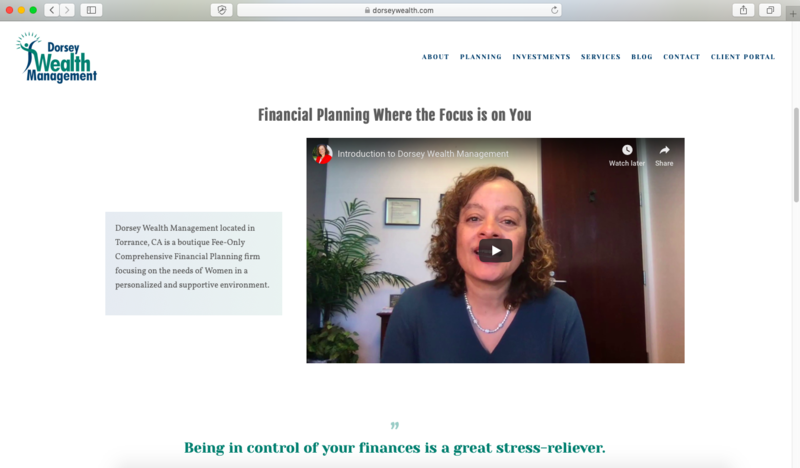 I am most excited about my home page because it has my introduction video, “Why Dorsey Wealth Management” and “Who We Serve” all on one page. What advice do you have for other advisors who may be looking to build their own website? My advice would be to have a clear vision of what you would like in a new website and why you want a new website. Take a look at other advisor’s websites to see what you like and don’t like. I actually mapped out what I wanted even before I contacted Twenty Over Ten. Even then, it took time to give feedback on the revisions to the Twenty Over Ten designer. I must say, however, I am very happy with how my new site turned out. Build a Website You Love Today! Work with Twenty Over Ten’s award-winning design team to build a website your finally proud of. 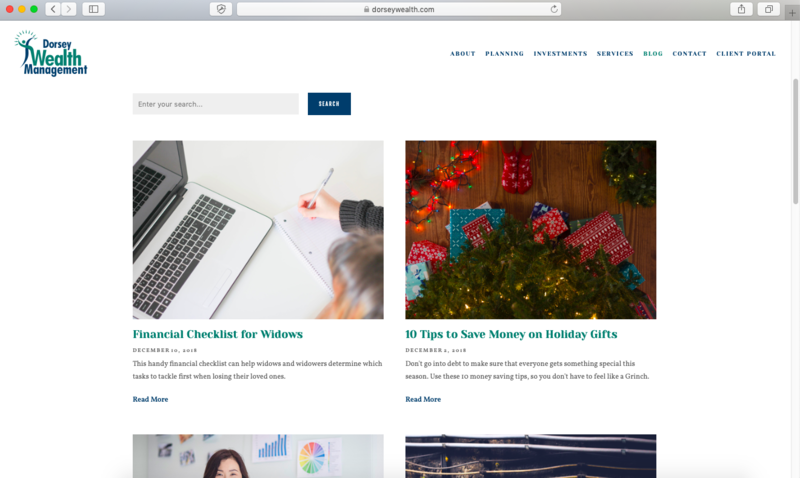 With automatic site archiving, blogging, an intuitive CMS, SSL certificates and more — we’ve got everything you need and then some.